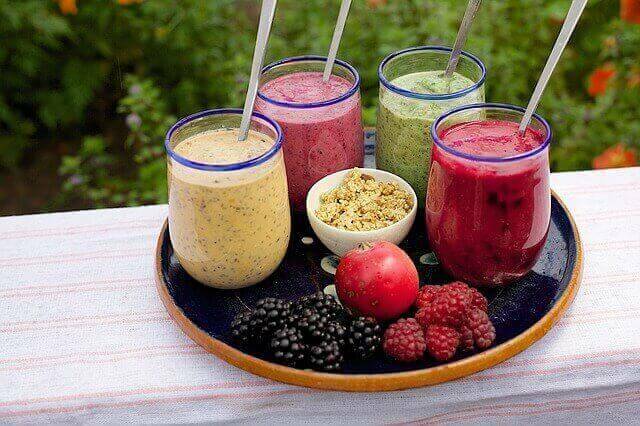 Smoothies are a great choice when you feel hungry between meals. The summer is coming so we present to you recipes for superb smoothies that can help you lose weight. Cold smoothies made with fresh fruit and vegetables are refreshing, tasty, and very popular. If you prepare them properly they can be your ally in the weight loss battle. 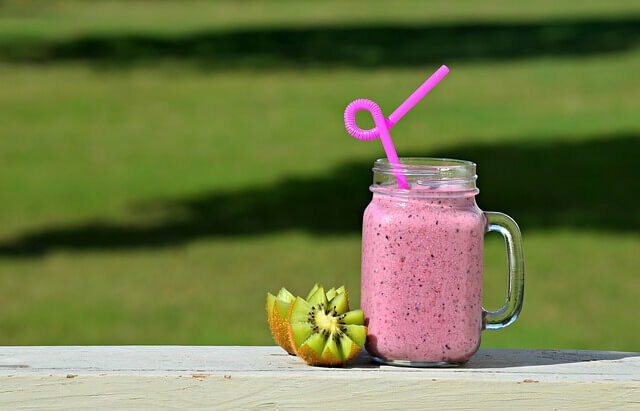 No matter if making these drinks is new to you or your blender has made hundreds of them, you will be surprised how easy it is to learn how to make healthy, delicious smoothies that can help you lose pounds and inches on your hips. You can have smoothies for breakfast, they are easy and fast to make, and if you are in a hurry you can take them with you. Also, you will feel full for a long time; therefore, they will help you lose weight. So, here are some detox smoothies recipes for weight loss that will dazzle you with their rich flavor. 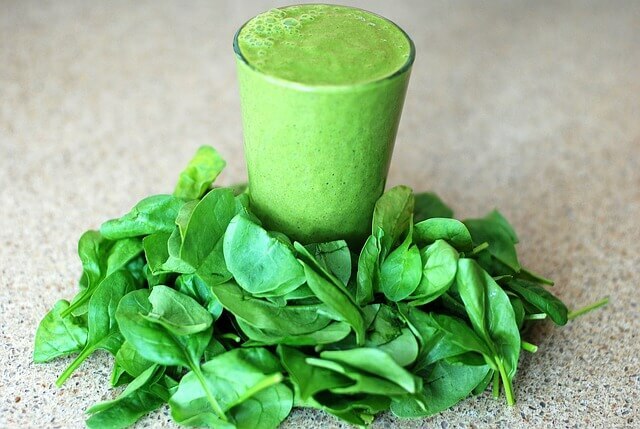 The green smoothie is one of the best smoothies for weight loss. But green smoothie with healthy fats is even better. It’s a common misconception that all fats are unhealthy and will make you fatter. The point is to eat healthy fat moderately that is essential for your metabolism and that will, no matter how paradoxically this sounds, help you shed pounds. That’s why almond, peanut, sesame, or pumpkin seed butter is an excellent choice. 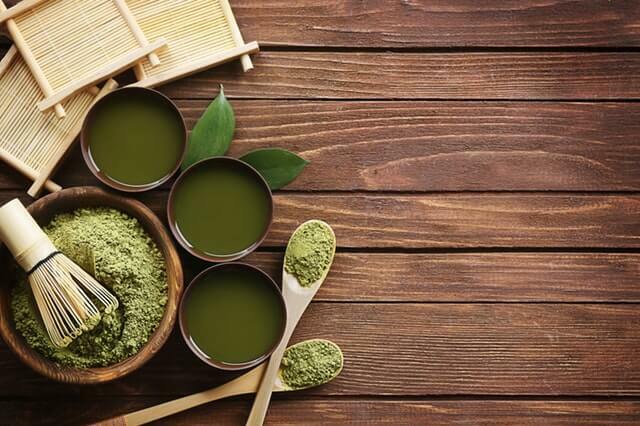 Other ingredients that are high in vitamin E and antioxidants are great for your skin, which is always important, but especially when it’s warm and everyone shows some skin. Moreover, these ingredients are high in zinc and selenium that will nurture your skin, tan, and your face will look stunning. You can soak the flaxseeds in water the night before so that they are softer, in that case, you don’t have to grind them just put them in the blender. Put all the other ingredients and continue blending. In the end, decorate with some grapes. If you want to lose weight you need to drink fluids. When you cut out alcohol, sodas, and juices full of sugars drinking just water can become boring. That’s why you should eat fruit and vegetables because they are full of water. Furthermore, if you include coconut water, coconut milk, different kinds of tea, kombucha, kefir, unsweetened almond milk you will enhance the intake of fluids and the taste of your smoothies. That’s why this recipe is a perfect combination of ingredients that hydrate you and compensate fluids in your body. This is one of the best smoothies to lose weight quickly. Blend all the ingredients, add ice, and then continue blending until you get a nice texture. Pour in a glass, add a straw, and a little umbrella. Fibers are essential when it comes to losing weight because they are protective, they make you feel full for a longer time and they prevent you from overeating. That’s why this smoothie is perfect. It has carefully chosen ingredients high in fibers, minerals, and vitamins that will refresh you. Put all the ingredients in the blender and mix them well. Add water repeatedly until you get the right density. Pour and decorate with raspberries or any other fruit you have. Don’t keep it in the fridge for more than 2 days. Carbs are one of the most notorious food group alongside with sugar and alcohol when you mention weight loss. On the other hand, when you drink smoothies you intake sugars, healthy ones though, from the fruit. So, you need to have balance. If you add 10-15 g of carbs they will maintain better the level of sugar in your blood and that’s why the energy level won’t suddenly drop. That’s why this smoothie has tofu in it that you won’t feel but it will give a nice, silky texture to your smoothie. You can add unsweetened cocoa and you can have a real treat whenever you want. Do the same thing with the flaxseeds like in the previous recipe. 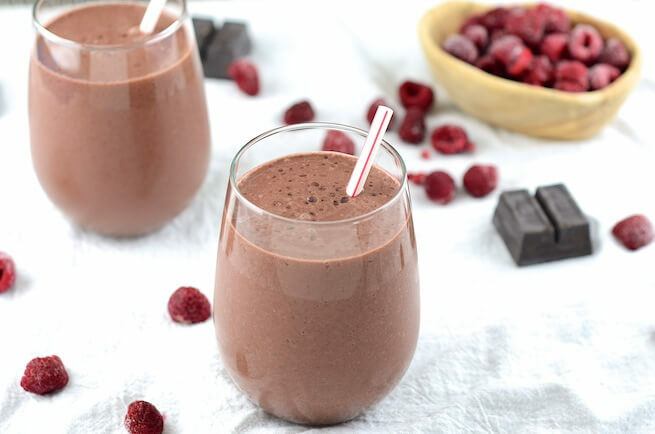 Blend all the ingredients, decorate with a couple of raspberries and enjoy. 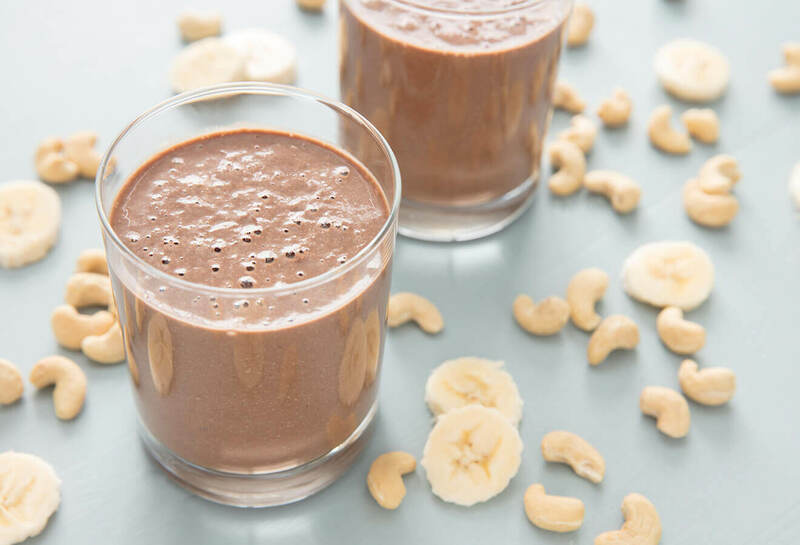 It may sound like a calorie bomb, but the nutritious value of this smoothie is amazing because of its combination of ingredients. This smoothie is one of the best homemade weight loss shakes. It will satisfy your craving for sweet and it will provide you with energy for the entire day. Thanks to the yogurt and milk in it you will intake calcium, thanks to the spinach you will get vitamin B, and thanks to the banana and cashews you will get magnesium. It’s ideal when you are in PMS and you can eat whatever’ s on your way, especially sweets and chocolate. Put all the ingredients in a blender and blend until you get a smooth texture. Add more water and/or milk if you think it’s necessary. Pour it into a glass and decorate with chopped dark chocolate and a couple of crushed cashews. If you want to make a low-calorie smoothie you need to choose your liquid, such as tap water or bottled water, for example. Other low-calorie options are green tea, coconut water, or freshly squeezed orange or grapefruit juice. 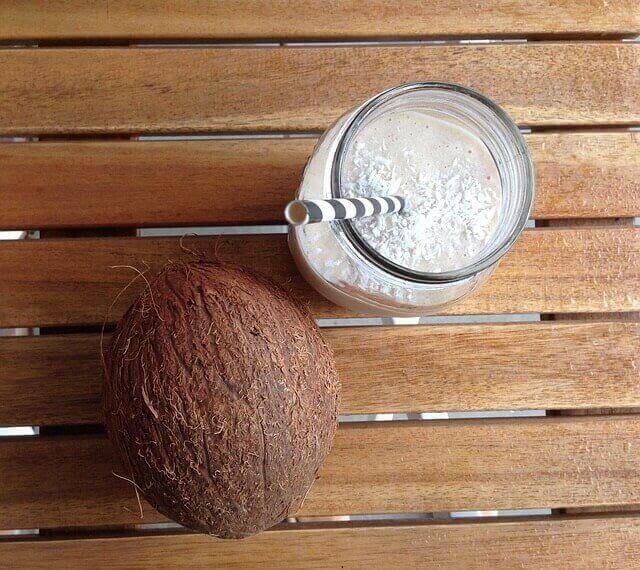 For creamier smoothies, you can use milk (almond, soy, or any other). But bear in mind that adding milk means adding more calories so you will need to be careful with the other ingredients. In order to make a more effective weight loss smoothie, you need to freeze more ingredients: an icy drink will boost your metabolism, encourage fat burning and energy spending. If you want to make your smoothie sweeter, but still you want to be careful with the sugar add a chopped banana or stevia rather than sugar or honey. For better and more intensive flavor add mint, ginger or cinnamon. 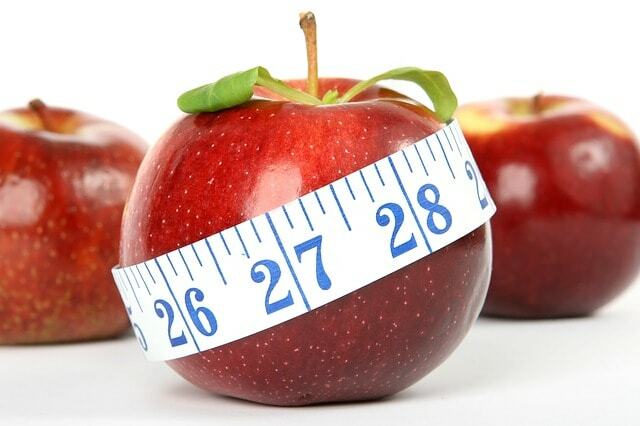 Numerous studies show that these ingredients improve the fat burning and weight loss process. 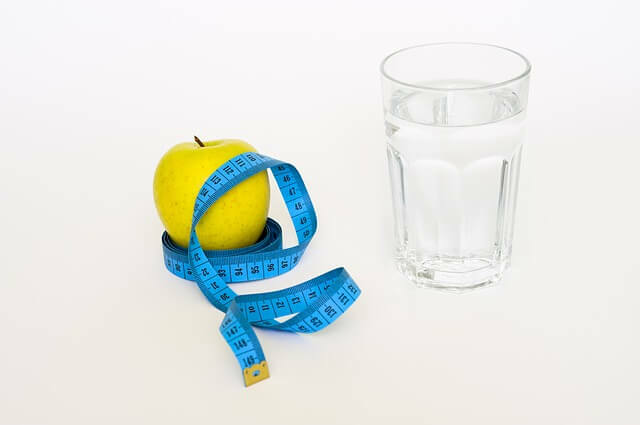 Drinking Water to Lose Weight: Is It Helpful? I’m interested as well about freezability of the shakes. You can freeze these shakes. I have a few questions that you may or may not be able to answer but just thought I would ask! First, can you freeze the smoothies once they are made up? I am starting my LAST semester of nursing school this month (hallelujah!!) and it would be a lot easier for me to have them pre-made and grab one out of the freeze to thaw out every night so it’s ready for morning than make it every morning! If not, would it be a good idea to at leas put all ingredients for specific recipe and put them all in a ziplock together to freeze and that way in the morning all I’d have to do it dump them in the blender? You can freeze these shakes or you can freeze ingredients and then dump it in the blender in the morning.